As a small business owner, you’re no doubt aware of the impact communication has on the success of your organization. You may have attended lectures or webinars, or read books on the role communication plays in motivating your employees and resolving conflicts in the workplace. But for many, the pearls of wisdom gleaned from these experiences is lost when it comes to managing their business cash flow. 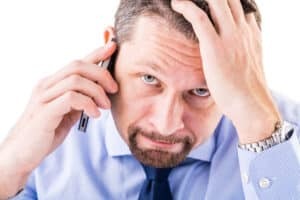 While telling an employee what is expected of her, and the possible consequences if those expectations are not met may seem like second nature to you, being as candid with slow-paying customers about your accounts receivable policy can be an uncomfortable chore that’s more easily avoided than dealt with. In most cases, fear of upsetting or even losing the customer is at the root of the problem. And that fear can have a domino effect that can negatively impact nearly every aspect of your business. The best way to avoid frequent problems with slow-paying clients is by clearly communicating your expectations from the start. Be sure to include payment terms in your contracts and on monthly invoices. It’s also a good idea to verbally state your terms, and ask them to explain their payment policies and procedures prior to starting work with a new client to make sure that both parties are clear on what’s expected of them. As the due date approaches, it’s o.k. to send a reminder notice. You should also be clear about the actual date payment is expected. “Due upon receipt” and “net 30” are ambiguous, and can lead to unnecessary delays in getting paid. It’s a good idea to invoice your clients as soon as the job is done. Don’t wait until the end of the month to invoice your customers as doing so creates the potential for artificial bottlenecks in your cash flow. Many experts recommend offering a discount to clients who pay on time and /or adding interest charges for those who don’t pay in a timely manner. Obviously, the discount amount should be large enough to encourage prompt payments, but not so large that it significantly impacts your profit margin. A discount of between 3% and 5% is typically offered. Likewise, the interest amount should be large enough to encourage prompt payments, without appearing predatory. Interest charges of up to 10% beginning at 60-days past due are not typically considered unreasonable. After all, you’re essentially “loaning” them money – so why not get paid for it? If possible, avoid invoicing via “snail mail.” If the client requires that you send a hard copy via U.S. mail or another mail delivery system, you should comply with the request but also send an electronic copy via email. We hope you found this information helpful. If so, please share it, and leave a comment below. And be sure to bookmark or subscribe to our blog to read Part 2. 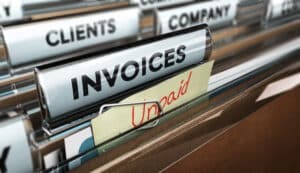 In the past, we’ve discussed how invoice factoring works. In this article, we’ll look at the Who, What and When of factoring. In past articles, we’ve discussed the benefits of invoice factoring compared to other funding methods including traditional bank loans and lines of credit. If factoring makes sense for your particular situation, the next step is finding the right factoring company, and this is where the Who, What and When comes into play. Who is the best factoring company for my business? When searching for the right factoring company for your specific needs, be sure to consider the number of years the company has been in business. Factoring companies with more than 10 years in the business generally offer a good program. Companies with 20 plus years are doing something right and it indicates they likely have a very solid reputation. Look for a factoring company with a tenured management team and sales force. Get to know the people you will be working with because it DOES make a difference. Relationships are key – especially when dealing with what can be stressful financial matters. What factoring program is right for my business? Most factoring companies have similar programs but it’s how they work with the business owner that really makes a difference. Many factoring companies have industry expertise in areas such as trucking, medical and staffing that could be beneficial for the business owner. When selecting a factoring partner focus on companies familiar with what you do. When should you work with a factoring company? If slow cash flow is preventing you from meeting your obligations on time it may be time to consider factoring. Most companies experience slow paying customers from time to time, but if it has become the norm instead of the exception, factoring could be the answer to your cash flow problems. Factoring is usually a short-term resolution for businesses, anywhere from one year to eighteen months. Most businesses usually become eligible for more traditional financing after they have been a factoring customer. Do you have questions or comments you’d like to share on this topic? Please post a comment below.